The North West Castle Cup, sponsored by McMillan Hotels, was played at the North West Castle Ice Rink last Wednesday. It is always a popular one day competition, being the last Ice Rink curling competition of the season, and it is played as the highest up team of the day. It attracted a full compliment of sixteen teams of four curlers drawn into two sections. The afternoon games proved mixed fortunes with a number of games being closely contested, but as the games progressed the team skipped by Marie McWilliam against Helen Smith’s team seemed to move into a comfortable lead after six ends with Marie’s team being six shots to one. Helen’s team gained two shots in the seventh end, but lost a further two shots in the eighth and final end giving victory to Marie eight shots to three with a plus five shots score and the best in the early session. The evening session got underway and it soon appeared that the team skipped by John Smith against the team skipped by Hugh Aitken Snr was a threat to the five shot lead from the afternoon session. John’s team mastered the ice and moved steadily forward passing the five shot mark by the fifth end and moved to a comfortable seven shot up position by the end of the evening session to win the North West Castle Cup. A large number of curlers came to support the competition and North West Castle supplied light refreshments for players and spectators alike. John McIntyre, Ice Rink President, presided at the prize giving and thanked all who had played in the last Ice Rink Competition. He thanked Stranraer Ice Rink Curling Club as sponsors and North West Castle Hotel for providing the customary light refreshments at the evening session. 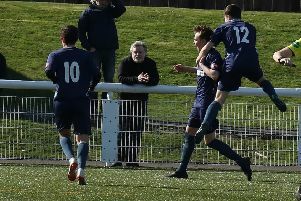 John congratulated John Smith and his team for emerging as winners with a plus seven shots advantage and remarked on the many games which moved towards that target. Gail Munro presented the North West Castle Cup to John Smith and framed curling pictures to each team member. John Smith thanked McMillan Hotels for donating the North West Castle Cup and Stranraer Ice Rink Curling Club for the prizes. He also thanked his team for playing and Hugh Aitken’s team for a sporting game. Past President Brian Park thanked the President for presiding at the last ice rink competition and also for his support to the competitions throughout the season. He had given a great deal of his time to Ice Rink duties and had enjoyed an excellent presidency. All present showed their appreciation in the normal manner. Winning Team - John Smith (skip), Alex Fergusson, Beth Aitken, Niall Ryder.